I use Castor Oil daily for sore joints. Castor Oil by Heritage is awesome!! Very moisturising! Thanks to modern research‚ knowledge of the undeniable health benefits of castor oil have surfaced. Though castor oil can be extremely effective when it comes to treating stomach problems‚ it has a few other benefits as well. When it comes to your skin‚ castor oil is a great moisturizer. It may be able to reduce the appearance of fine lines and wrinkles‚ which can lessen the appearance of visible signs of aging. Castor oil may also support with evening your skin tone while also improving the elasticity of your skin. In fact‚ some people use castor oil—along with another carrier oil like almond oil— to cleanse their face; this is called the oil cleansing method and it has gained popularity in the past few years. Castor oil may also be helpful when it comes to growing thicker‚ fuller eyelashes. This oil may also help your hair be healthy and shiny because it’s a fantastic moisturizer‚ especially when it comes to dry split ends. The ends of your hair are the oldest and usually the most damaged; applying Castor Oil by Heritage to the ends of your hair can help hydrate and smooth them. When applied to the scalp‚ castor oil can also stimulate hair growth while adding strength and vitality to existing hair. To fully benefit‚ you may want to consider a natural supplement like Heritage’s Castor Oil. Each bottle contains nothing but eight ounces of pure‚ cold-pressed castor oil‚ ensuring that all of its essential ingredients are preserved. Ultra Pure‚ Cold Pressed Castor Oil. Does Not Contain - Pesticide Residues‚ Animal Testing. To prepare a pack‚ saturate flannel and place over abdomen or other areas. Cover with plastic‚ and apply heat to increase penetration. 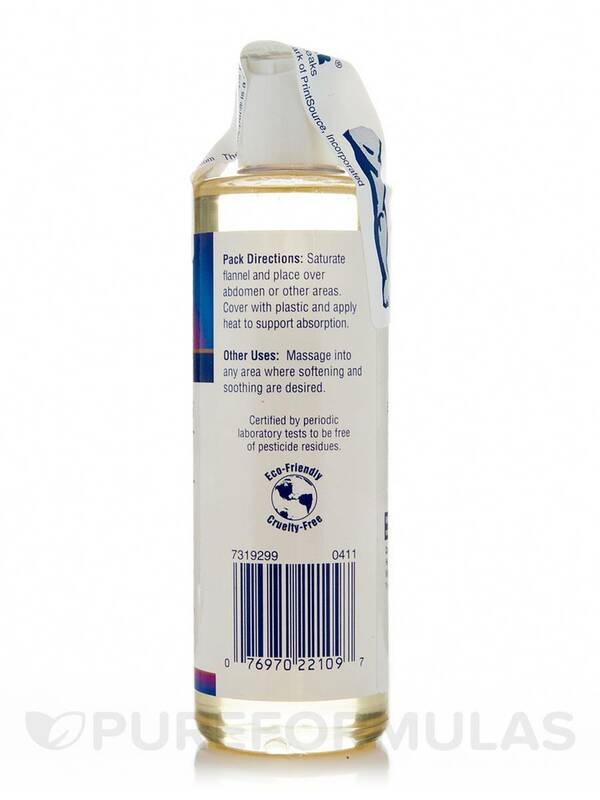 Other Uses: Massage into any area where softening and soothing are desired. Castor Oil by Heritage has so many great uses especially in my hair. It leaves my hair feeling nice and soft when I use it as a pre shampoo. I've tried the small bottle of this product and now figured out this size is much more valued, Castor Oil by Heritage really works for hair growth if you use it at least 3 times per week. I love that its hexane free and pure. The bottles are huge and very affordable. Castor Oil by Heritage is soft and I have enjoyed it the times I've used it. This was my first order and when the oil arrived it had leaked out everywhere in the box. Thankfully, PureFormulas was very quick to help and shipped a new one super fast! Castor Oil by Heritage is a very nice oil..I used on my scalp to thicken my hair. 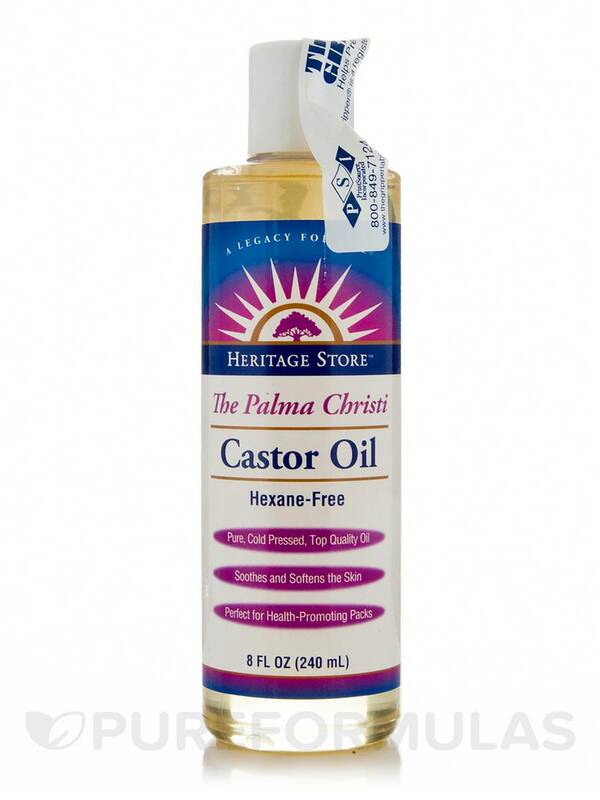 Castor Oil by Heritage quickly made a visible difference in my skin; pores appear smaller and cleaner. It does not have a strong scent. It is not so thin that it is runny. My first time using Castor Oil by Heritage to regrow my brows! Had a friend use it and she said it works wonders!! I like this Castor Oil by NOW Foods better than others that I've tried because It seems to have a lighter scent. Great for moisturizing hair and skin if needed. Also, once again PureFormulas has offered a very competitive price. Great for the oil cleansing method. Castor Oil by Heritage has worked very well in conjunction with Jojoba oil for the oil cleansing method! I have very sensitive, oily, acne prone skin and this has done wonders for all of those issues! Good oil and fantastic price!